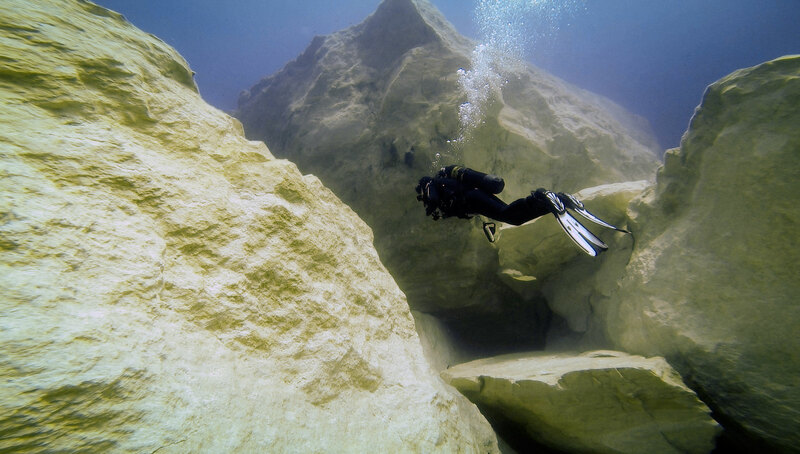 Azure Window in Dwejra, on the west coast of Gozo, collapsed in a heavy storm in March 2017. 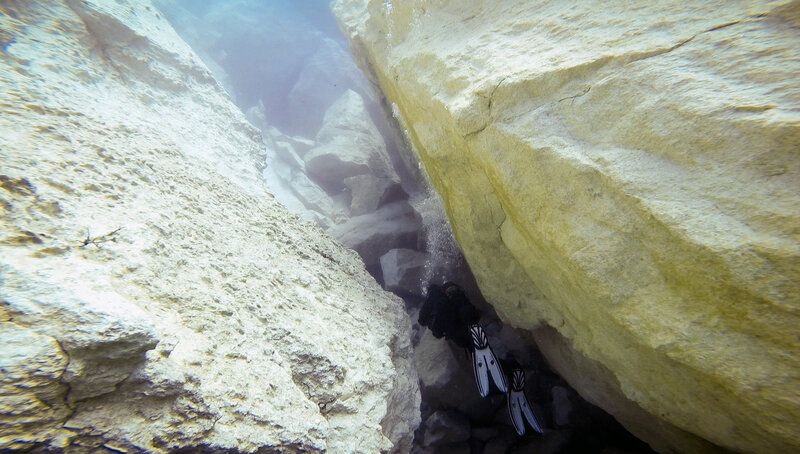 This formed a new interesting dive site named Azure Reef. 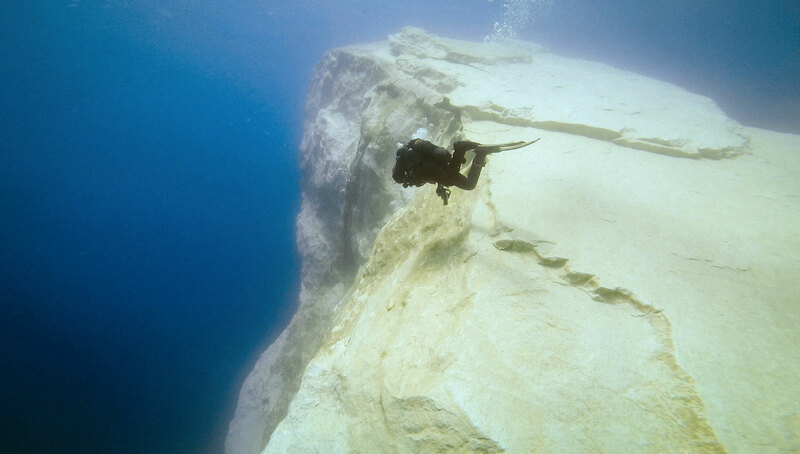 Azure Reef starts just below surface and continues to depths over 40 metres. There are huge boulders and sharp edges, mostly barren moonscape, but slowly algae start to grow on the rock and marine life makes the new reef its home. 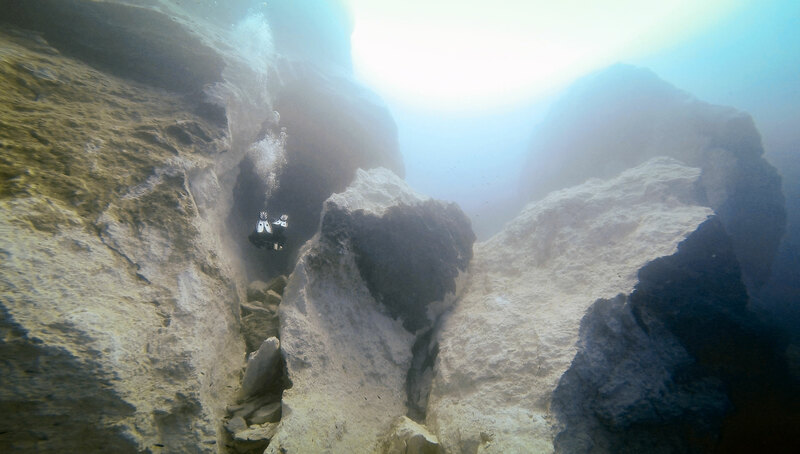 Here and there divers can see plants that were previously growing on the arch above the surface. Below and between the boulders there are swim-throughs, but the rocks could still split and shift so the reef is changing. 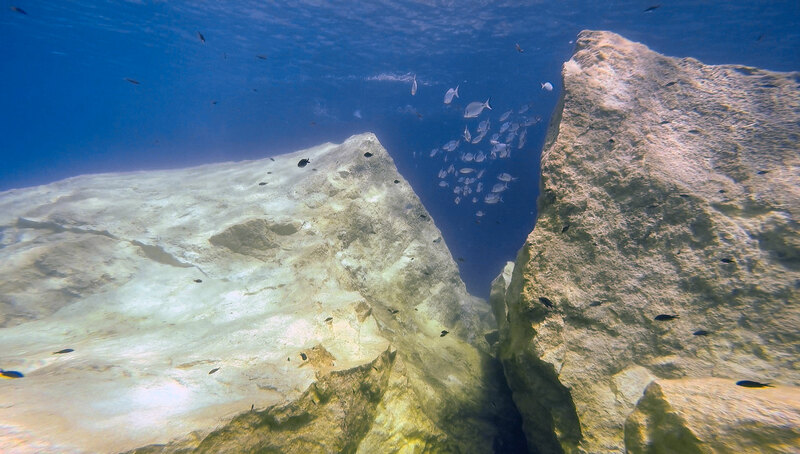 A good entry/exit point for Azure Reef dive is through another beautiful dive site, Blue Hole. From the reef divers can continue to nearby Coral Gardens. 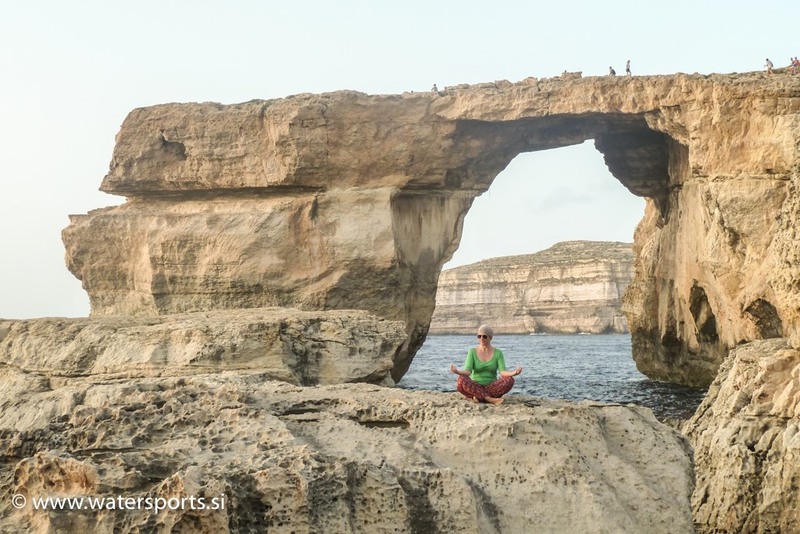 Azure Window was one of the most famous tourist attractions on Maltese islands. 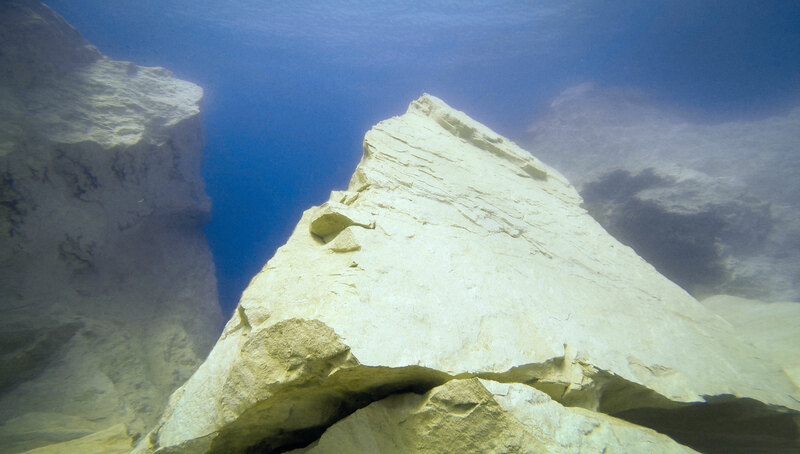 Several large rocks fell off from Azure Window in its final years. Signs warning about walking on the window did not stop tourists, so to protect both the window and the people, this was fined 1500 euro starting from 3rd December 2016. Eventually Azure Window collapsed in a storm on 8th March 2017 at about 9:40 in the morning. 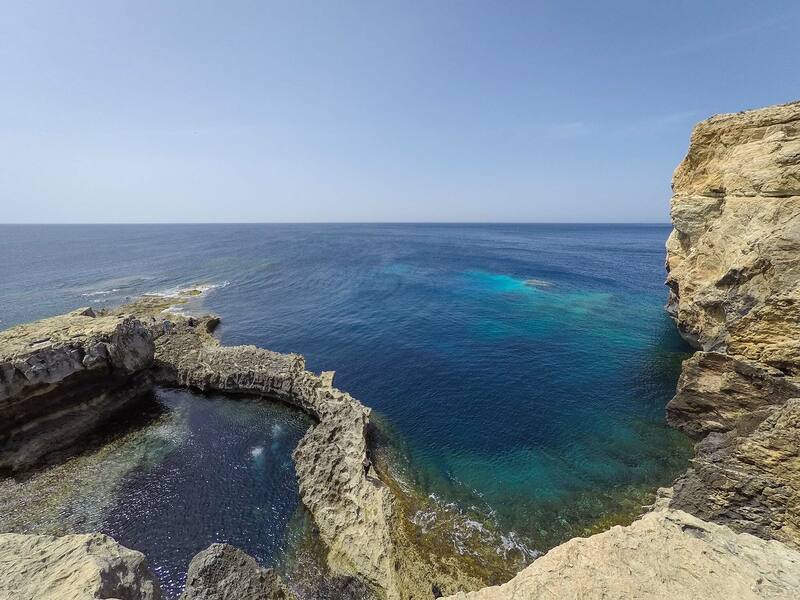 For those missing Azure Window, there is another similar but lesser known archway in Gozo, Wied il-Mielah Window, which is also a very nice dive site. 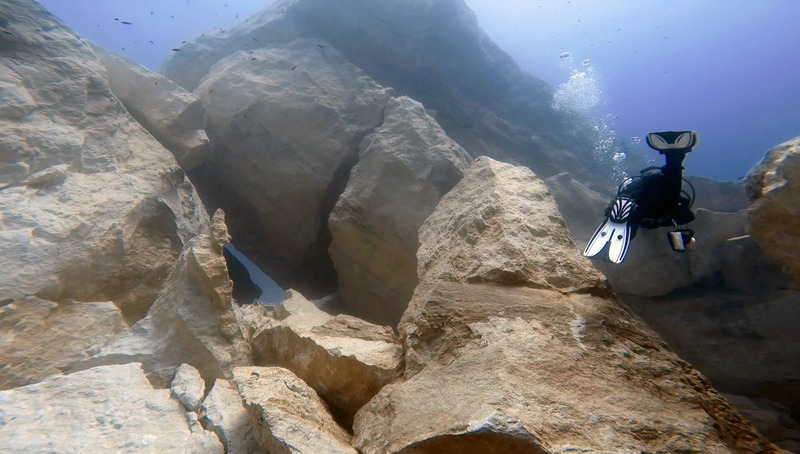 ★★★★☆ The site is now much more interesting for divers as the Azure Window has collapsed and generated huge boulders with a lot of swim through's.